Instagram is a cool photo sharing app that allows you to apply digital filters to your pictures. A lot of people use it to share their pictures with family and friends. More and more businesses have started using Instagram along with Pinterest to share their photos with their users. Recently, one of our users asked how to add their Instagram photos in WordPress? 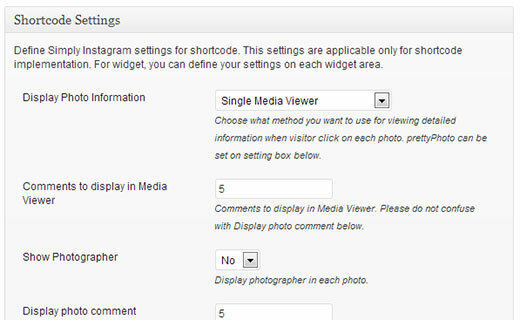 In WordPress 3.5, native oEmbed support for Instagram was added in the core. This means that you can just copy and paste the URL of an Instagram photo page, and it will automatically embed that image into your WordPress or page. But what if you want add an Instagram widget in your WordPress sidebar? In this article, we will show you how to display Instagram photos in your WordPress sidebar widget. First thing you need to do is install and activate the Simply Instagram plugin. Upon activation, the plugin will show you a notification, asking you to authorize Simply Instagram plugin access to your Instagram account. Click on the authorize link. On the next screen you will see a login button next to the Instagram logo. Click on login button, and it will take you to Instagram website where you can provide your username and password to give Simply Instagram access to your account. 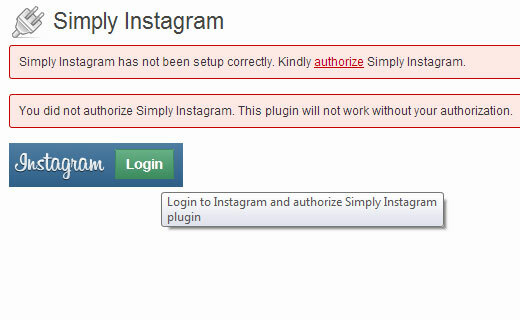 After the authorization you will be redirected back to Simply Instagram settings page in your WordPress site. 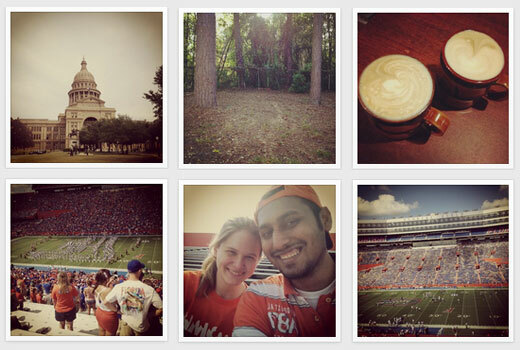 Using Simply Instagram is fairly easy. The plugin comes with four built-in widgets which you can drag and drop to your WordPress sidebar or widget areas. Each widget comes equipped with configuration options of its own. Simply Instagram also comes with shortcode support, so you can share your Instagram photos in WordPress posts or pages in a gallery style format. 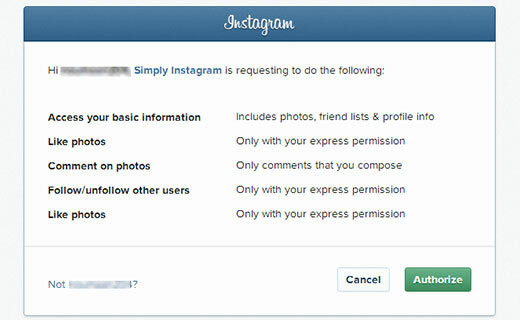 Go to Settings » Simply Instagram to find a shortcode generator. 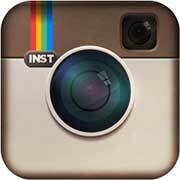 Simply instagram also provides you option to configure the look and feel of Instagram photos on your site. On the settings page, you can set the shortcode configuration options. Remember that these options are just for photos displayed using shortcode. Instagram widgets have their own options which can be configured from the Widgets panel. To display your Instagram photos, Simply Instagram comes packed with a jQuery light box plugin called prettyPhoto. It is used to display your Instagram photos in full screen slideshow view. You can adjust the prettyPhoto options from the settings page as well. We hope that this article helped you add Instagram photos in your WordPress sidebar widget. Do you use Instagram for your business? Do you display your Instagram photos on your WordPress site? Let us know by leaving a comment below.